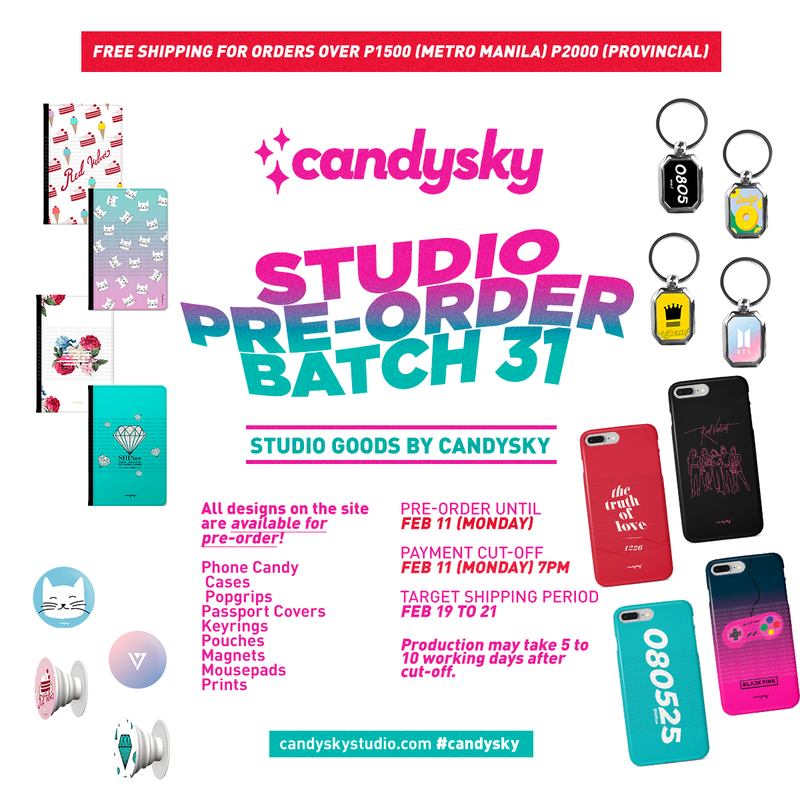 [NOTICE: OPEN] Studio Pre-order Batch 31 + FREE SHIPPING PROMO! Discount is automatically applied at check-out for qualifying orders. Discount is not applicable for official goods or on-hand official merchandise, or Seoul Pre-order items. Posted in Studio Pre-order, Updates and tagged Free Shipping, Studio Pre-order. ← Newer[NOTICE] #CandySkyat12 + Anniversary Sale! Older →[NOTICE: CLOSED] Studio Pre-order Batch 24 + NEW Red Velvet Really Bad Boy Collection + 12% OFF!